Cinematic is one of the words that best describe Ending Satellites’ new album 7 Billion Passengers|Only One Flight Left. Hints of rock, alternative and electronica litter across the album; making it an intriguing record to have. According to their site, the album is “both musical and photographic.” The goal is to provide listeners with a chance to explore the melodies along with images (which you can find on their site.) The album has a beautiful concept and it also features collaborations from several talented artists. You can expect a lot of great things from this record, from sweeping guitars to moody tempos and ambient sounding moments; they’re all here. Some of the tracks are instrumental while others feature spoken word or singing. Opening with the enigmatic single, The Long & Quiet Flight of the Pelican; the track is a dreamy ambient/rock ensemble that satiates the senses. You’ll instantly realize why their sound evoke a cinematic feel to them. It’s followed by The Next Exit which is a more indie rock/ alternative track featuring Londres. It’s probably among the top must-listen cuts in the record, I think. Although they definitely know how to turn up the volume and rock, some of their best works include their more moody, ambient singles. The album contains 14 tracks, two of which are bonus singles and each of these can easily stand on their own. It’s definitely a record worth checking out whether the genre is something you’re fond of or not. 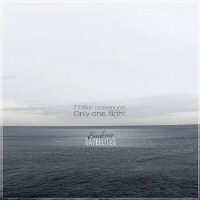 7 Billion Passengers|Only One Flight Left is available as a free download but you can also help support the artists by donating through their site. Go ahead and take a listen. You won’t regret it.